This seems a weird problem on Dreamweaver CS5.When you open the program, it closes straightly without giving an error message or warning.It happens even not opening any file.I researched through web and somebody mentioned in a forum that issue might be the corrupted cache file. I locate the cache file folder then, I renamed it. I start the Dreamweaver again, and Bingo! it works like spell, everything is working fine now. 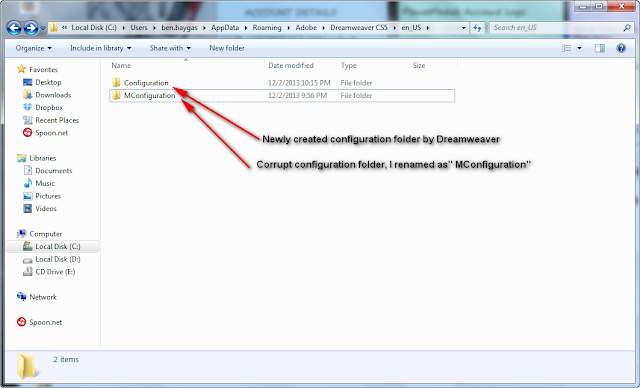 The solution is pretty simple.Just rename or delete the entire configuration folder and your Dreamweaver CS5 will start fine without losing any thing.Dreamweaver CS5 will recreate a new configuration file automatically.